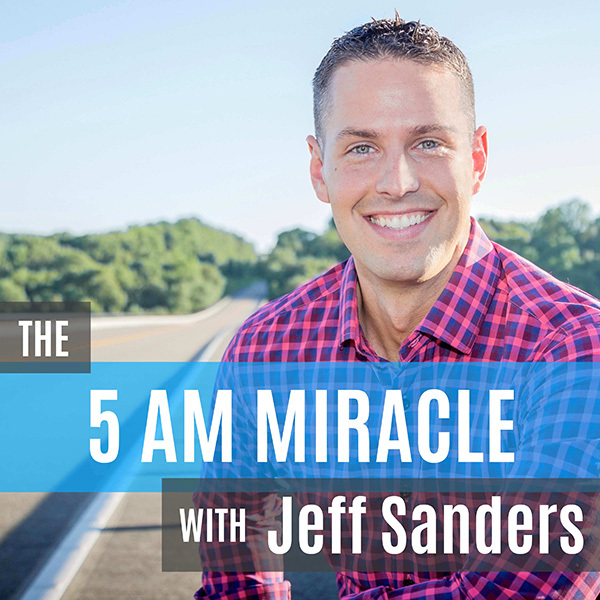 I am Jeff Sanders, host of The 5 AM Miracle Podcast, which is a weekly show dedicated to dominating your day before breakfast! The show features interviews of successful high achievers, as well as solo shows where I break down a relevant topic. 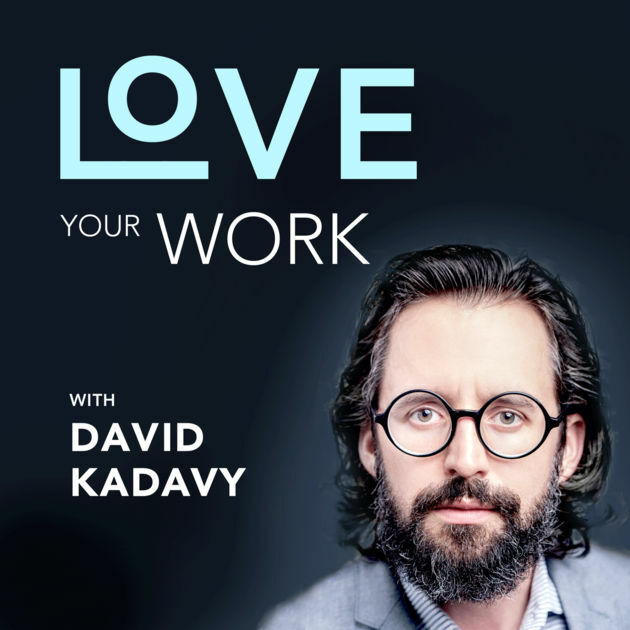 I have been obsessed with personal development and productivity for years, so this podcast provides the opportunity to dig into many great discussions. The show’s topics focus on early mornings, healthy habits, personal growth, and rockin’ productivity. Most episodes are 25-35 minutes in length, featuring the week’s main topic, and often you will find a “Tip of the Week” segment along with final action steps to ensure the listener gets a practical takeaway each week. The 5 AM Miracle has been on the air every week, over 200 Monday mornings in a row, since the launch in 2013. The episodes have been downloaded over 5 million times and each episode averages over 20,000 downloads within 30 days of publication. For many years I wanted to launch a professional podcast, but just never believed I had enough expertise or intelligent thoughts to share with the world. In 2012, I began waking up early to train for a marathon and fell in love with early mornings. I discovered I could be highly productive if I work up early to tackle my day’s grandest goals. 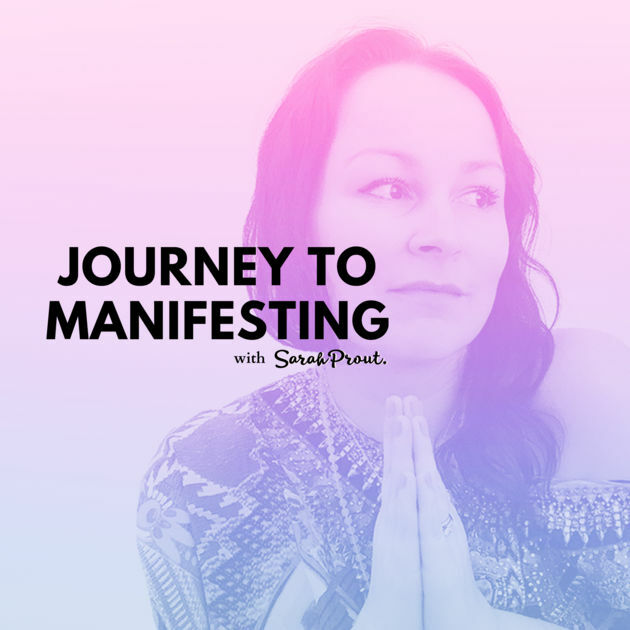 I began blogging about my experiences, then wrote a short eBook, which blossomed into the podcast a few months later. The eBook received a great response from my readers, which told me everything I needed to know – a podcast on this topic could work very well. Using a title like The 5 AM Miracle provided me the chance to open up about productivity, personal growth, healthy habits, and any other topic that I thought would help my listeners become their best selves. 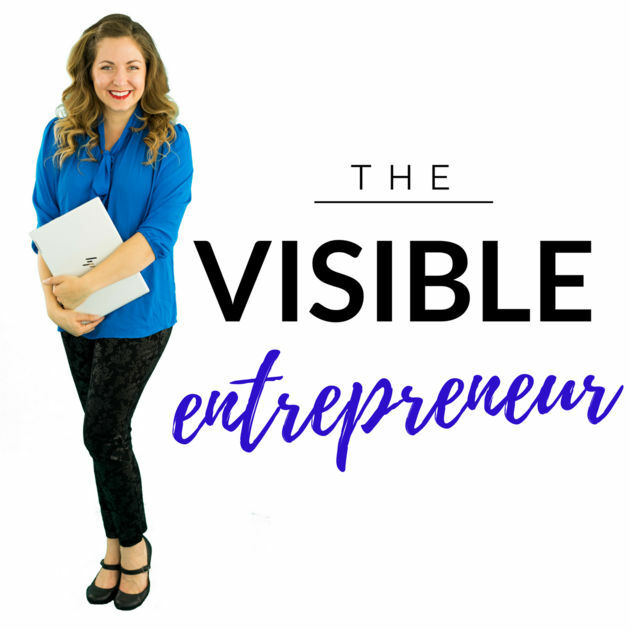 I launched the show on the side while working full-time in education at a local college, but knew that I one day wanted to convert the podcast into the marketing arm of my own personal development business. Just a year after the show launched, the school I worked for went bankrupt and I was laid off. Thus, I jumped into my online coaching business full-time and never looked back. I spent almost a full year preparing to launch the show. I spent months researching other excellent podcasts, modeling after them, studying their production schedules, and reverse-engineering their scripts. I invested $2,000 in professional audio equipment, including a microphone, mixer, compressor, cables, headphones, speakers, audio converters, backup systems, and more. It was a brutal process trying to figure out the tech side of things, but I finally wised up and watched a few dozen tutorials online (mainly from Cliff Ravenscraft and Pat Flynn). Learning the technical skills is 80% of the battle. Once you understand how to record high quality audio and publish it online, you are so close to the finish line. Mastering scripting, speaking, and marketing are just as important, but my background in theater and online business made these areas easier to handle. Initially, you have to make hundreds of tiny decisions about how to format your episodes. Everything from intro music and transitional statements between topics, to which guests to interview and how to get celebrities to reply to your emails. I worked on these details days, nights, and weekends – whenever I had time – for nearly a year, and I could have kept going. I launched the show unprepared, or so it felt. The best way to learn is to jump in, make mistakes, fix them, and do it all over again. The launch plan was to release a new episode once a week and not stop until the podcast was failing miserably, or I had a better idea. Fortunately, the show took off around episode 10 and has grown ever since. A popular website, The Art of Manliness, featured my young show on a list of their favorite podcasts and my download numbers exploded overnight. Getting featured on other popular sites is incredibly important to growing any online enterprise. Consistently publishing a new episode every Monday morning attracted listeners because they knew when to expect new, high quality content. Word began to spread as I marketed the show on my website, in my emails, on social media, with my friends online, and through my guests as I invited them on the show. Also, in the noisy Internet world, high quality content stands out. This means a great podcast will not only have high quality, informative, and entertaining content, but also have superior audio quality, a consistent and predictable production schedule, and a genuine connection with their audience that is based on serving them and not your brand or business. When you make the listener the focus of the show (talking to one person, not a crowd), and take advantage of the close intimate relationship that can be formed with audio content, you can really make a connection. This connection is what causes people to talk about you, spread the word, and ultimately grow your show. My podcast does make money directly through advertising, but that wasn’t the case for the first two and half years. Initially, I spent quite a bit of money to launch the show and maintain it. It was an investment into the marketing arm of my business so I could sell coaching services, speaking engagement, books, and online products and courses. Today, the podcast is the singular most important thing I create in my business. It is the best marketing tool, best communication tool, and best raving-fan development tool I have ever had. Even if your show doesn’t make a dime in advertising, it can be your best front-facing content generator that attracts hundreds, thousands, or even millions of fans to your business. My biggest challenge when I began is still my biggest challenge today, I am doing this whole thing by myself. Fortunately, there are many new podcasting services popping up all the time that can make your job infinitely easier. If you take the path I did, you will learn everything about your show and control every tiny detail. This is fantastic for OCD, Type A people, but terrible for balancing a podcast with bigger business objectives. My best advice here is to get other people involved from the beginning. Outsource whatever you can, including post-production, marketing, setting up your studio, writing show notes, or anything else you don’t have the time, money, or interest in developing. If you focus on becoming a specialist, you will succeed faster and get better results. Secondly, the marketing of your show is the one element that will determine its fate. If your goal is to get millions of listeners one day, marketing is the only thing that will get you there. Try not to get caught up in tiny details no one else will notice. Focus on the big picture of getting the word out. Pitch yourself to be a guest on other podcasts, invite other podcasts to be a guest on your show, make a splash in social media, and anything else that will get your high-quality show noticed by your target audience. Studying other great podcasters made the biggest difference in the beginning. For the first few months you will want to copy others just so you understand how the game is played. Then, you can find your own voice, customize your show, and make it your own. Modeling after others will help eradicate much of the fear and uncertainty that goes into launching a big production. Study acting, improv, public speaking, and any other art form that gets you comfortable talking on a microphone and in front of a live audience. Your confidence (or lack thereof) will be painfully obvious on the mic, so you must be prepared to be a more polished version of yourself than you have ever been. This takes practice, so be willing to sound foolish forever. I still feel foolish every week, but I’m now better at editing those awkward moments out in post-production. Finally, don’t create just another podcast. Create something special, unique, and interesting. Your listeners may initially tune in because of your snazzy artwork or the show’s main topic, but they will stay because they love your personality. Being uniquely you is what keeps listeners coming back for more. No one needs another podcast about how to build a business, but they do need more unique voices and stories from people just like you. If you are just starting out, my best advice is to take this seriously from day one. The most common mistake I see new podcasters making is thinking they can give mediocre effort and get amazing results. That’s not how this works. Working hard every week for years is what eventually pays the bills, or whatever your goal happens to be. There is a term you will hear often called “Podfading” where a show starts off strong and then slowly begins to publish less often, eventually leading to the inevitable decline of the entire show. We can all see it coming, and it began with an over-zealous podcaster who didn’t plan for the long haul. Plan from the beginning to podcast for the next 10 years. If that sounds too long, launch a tiny show to get your feet wet to make sure this is something you want to commit to. Podcasting is an amazing medium, but it’s not for everyone. The shows with the biggest download numbers and the largest ad revenue are based on podcasters who committed to excellence and mastering their craft. That’s where the big results come from, and that’s what makes the art of podcasting so rewarding. You can go to my site, listen to the 5 AM Miracle podcast or connect with me via social.